22 years old and fulfilling his dream as an entrepreneur! Dan shares his journey with joining the accelerator and how much it has helped him grow as an entrepreneur. Dan is fresh out of college and already has the right mindset to succeed! If he can do it, so can you! – How Dan got into podcasting. – How he was able to do it all even during college. – Why Dan decided to join the accelerator. – What his life was like before the accelerator. – Lessons he has learned from the program. – How Dan used the BRAND formula in his business. 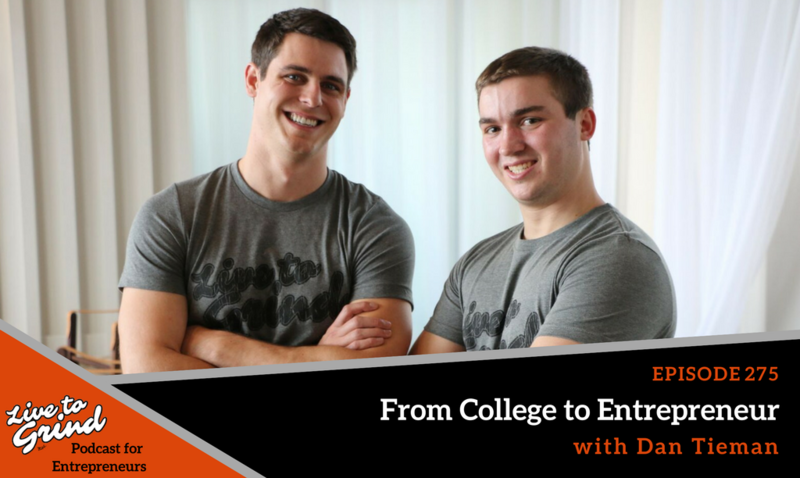 Dan Tieman a 22-year-old entrepreneur from Chicago, is full of drive and passion. He graduated from St.Ambrose University in Iowa where he was the 2 time Captain of his Lacrosse team and played club Hockey. Dan Joined Brandon T. Adams first ever Influencer Accelerator program where he connected with his now Co-Host Sabah Ali. Since the Accelerator Dan has been, blogging, podcasting, and doing Facebook lives. All things he was taught by Brandon. He also Co-Founded 2 businesses “Dorm Rooms To Conference Rooms Podcast” where they inspire college students and millennials to take a chance and step into entrepreneurship. He also Co-Founded HD Marketing, a digital marketing agency where they help Realtors across the U.S. gain more listings and increase transactions. He is now aspiring to be a top salesman and connect with people such as Grant Cardone.